A short stop motion animated sting created in our first year at University. This was an introduction for the 'Best Stop Motion' category of the 2009 University of Glamorgan Glammies Awards. The shows theme was Star Trek and this sting shows how a grouchy Commander Worf copes with life aboard the Starship Enterprise, before being interupted by the extremely unlucky Cadet 'red shirt' Wilhelm. A word to the wise, always knock before entering a Klingons quarters. 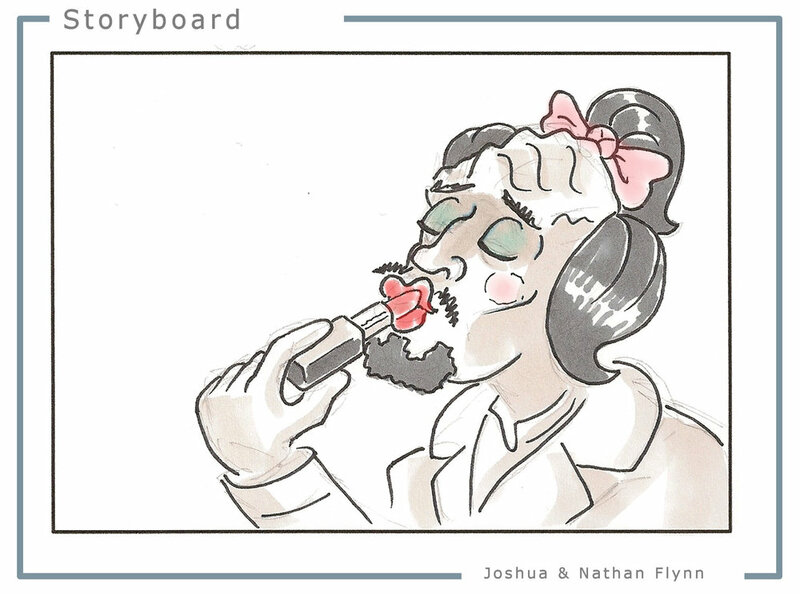 Here are a selection of hand drawn storyboard images that we created when developing the project. We edited these into an animatic to guide us with the animation.